The Oklahoma City Midtown Rotary presents its annual fundraiser: The Spelling Bee(r)! Not only is this an awesome spelling bee; It's a tasting featuring local breweries, with heavy hors d'oeuvres courtesy of Pub W! 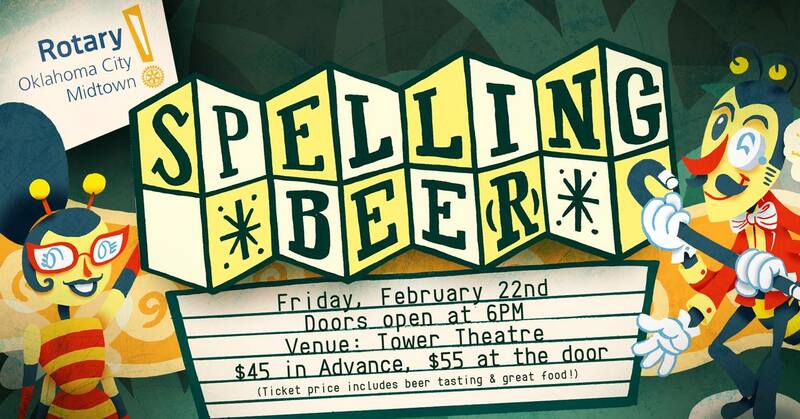 Come spell your heart out for your chance to win $500, or simply attend to enjoy great local brews, awesome food and fun!